Woo! These are rich 🙂 They are thin but so fudgy and perfect with homemade vanilla ice cream, (*I’ll share the ice cream recipe soon*). Thanks for reading, enjoy! 1 Preheat oven to 325°F with rack positioned in the lower third of the oven. 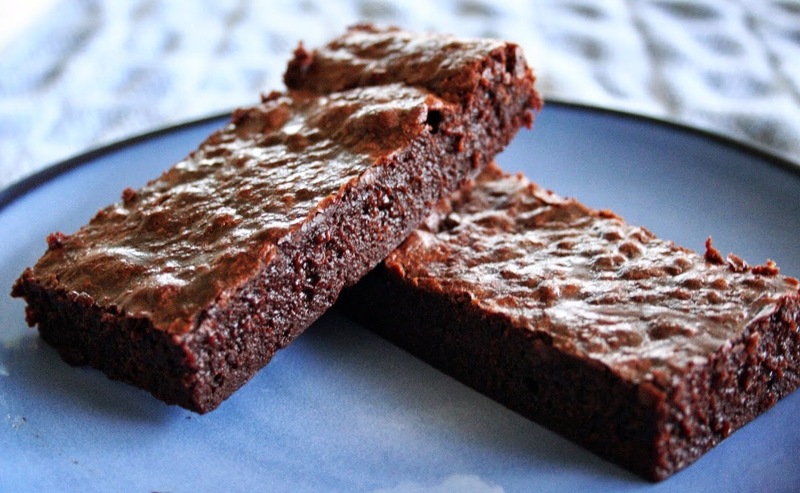 Line the bottom and the sides of an 8-inch square baking pan with foil or parchment paper, leaving an overhang on two opposite sides to make it easier to lift the brownies out of the pan when they are done. 2 Combine the butter, cocoa, sugar, and salt in a medium heatproof bowl. Set the bowl in a wide skillet of barely simmering water. Stir the butter cocoa mixture from time to time until the butter is melted and the mixture is smooth and hot enough that you want to remove your finger quickly after dipping it in to test. Remove the bowl from the skillet and set aside briefly until the mixture is only warm, not hot. 3 Using a wooden spoon, stir in the vanilla extract. Add the eggs one at a time, stirring quickly after each one. When the batter looks shiny, thick, and well mixed, add the flour and stir until you cannot see it any longer, then beat for 40 strokes with the wooden spoon. Spread the batter evenly in the lined pan. 4 Bake until a tester inserted into the center comes out just slightly moist with batter, 20 to 25 minutes. Let the brownies cool completely on a rack. 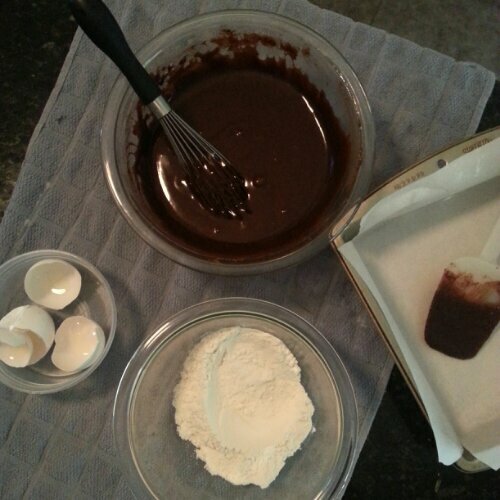 Lift up the ends of the foil or parchment paper liner, and transfer the brownies to a cutting board. Cut into 16 or 25 squares. 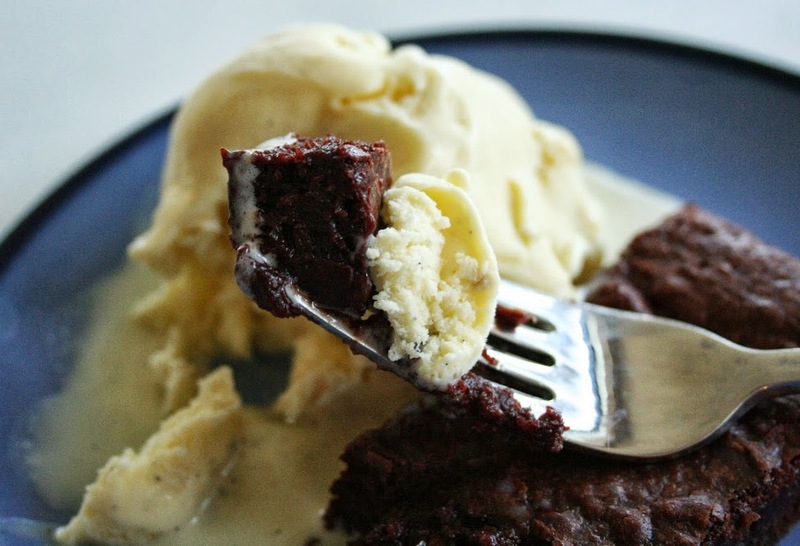 Love brownies, especially with ice cream. These look great!